How cool are these paper chains, certainly a world away from the daggy ones I made as a child. Paperklip Design is a small Australian company creating beautiful things from paper. Based on the concept of Danish paper-cutting, they specialise in decorative paper chains for children’s rooms, gift tags, traditional paper Christmas decorations and custom shop signage. Each piece is hand-cut and the paper hand selected from a delightful range of decorative papers. For some gorgeous decorating ideas I recommend giving Paperklip Design a visit. On their site you can find a page of stockists. I had intended to do a bit more on the fabulous designers mentioned here, but with the mayhem of school holidays and life, time has gotten away from me and I can only manage a quick Fabulous Friday finds feature for these guys for today. But never fear, as soon as I get my act together, I will be back with more including 5 minutes with Amy from Giggleberry Creations. No I have not been drooling over the girls rooms on Pottery Barn again, this time I have been looking at Rate my Space for inspiration and ideas for decorating my children’s rooms. Somehow I am way laid by the nursery section and the cuteness that abounds. I came across Happy Canvas, Hip Kid Art recently, I have not had a chance to have a good look yet as they are temporarily closed over the Christmas period, however what I saw on the front page was impressive, and I can’t wait to see the rest of their work. 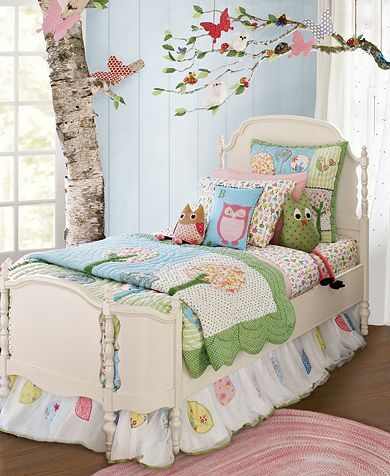 Holly Chic are one of the few places I have been able to find gorgeous handmade bedding for children that is not Whinnie the Poo and the likes. They are a New Zealand brand and have a store on Etsy and their own site www.hollychick.nz.com. In choices of gorgeous designer fabrics, you are bound to find something you like. Almond Tree Frames create this gorgeous keepsakes to celebrate your babies arrival. 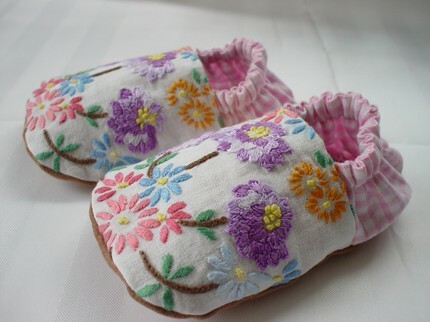 Cot Couture are another amazing place that makes exciting cot sets. 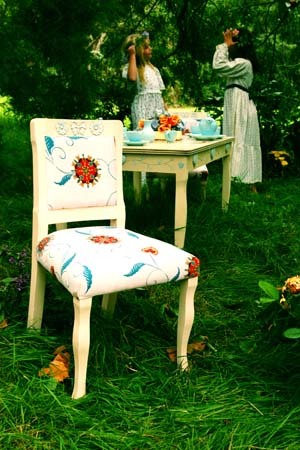 There is a gorgeous eclectic range of designer fabrics to choose from and matching accessories. I had to pick my son up tonight from “the bull ring”. It is harvest time here and so he went for a run in the truck with his dad. So “the bull ring” is my inspiration for tonight. I am a country girl at heart, had a thing for cowboys (and yes for a short time even dated one who did the whole rodeo thing) and always wanted chickens and a vegie garden. I have my chickens and my moderately successful vegie garden, which is probably more food for chickens than my family. Thankfully I don’t have the cowboy anymore. 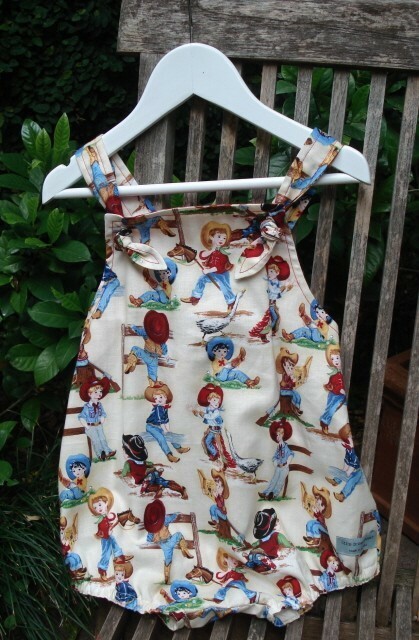 The very cute retro rodeo bucket hat from Vintage Kid, where you will find a selection of very cute “cowboy” things including, bibs, aprons and bloomers. 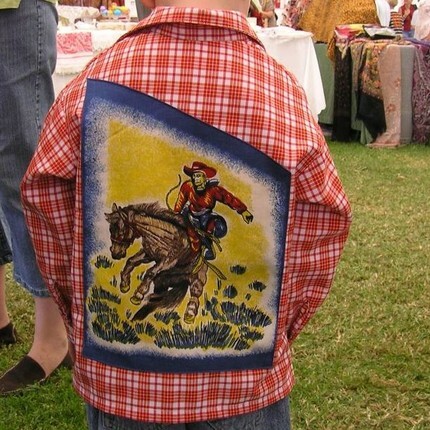 It doesn’t come much more rodeo than this checked cowboy shirtwith 1950’s patch by Samibop. 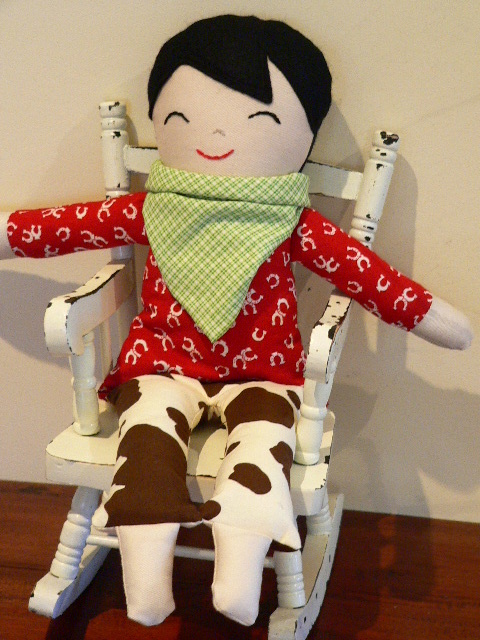 How cute are these dolls by Red Wagon? Now I could spend all day going on about The Red Wagon. 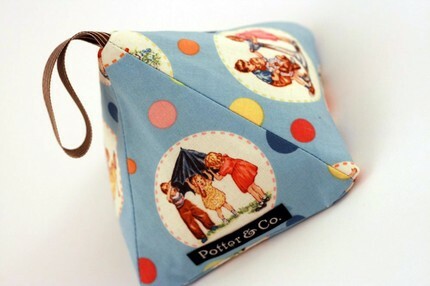 I absolutely adore their vintage feel items, how am I ever going to pick only a few to show you? 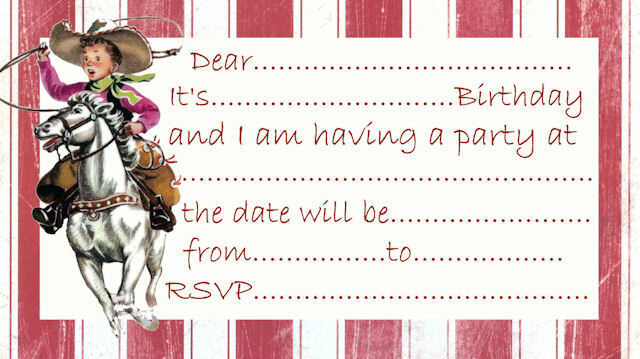 Very retro birthday invitations for the budding cowboy, also from The Red Wagon. 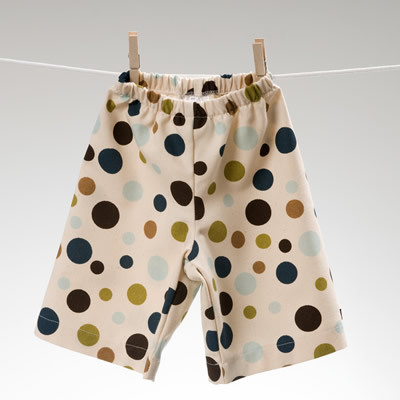 A sweet summer bloomer set for little boys by Ollie Rose. 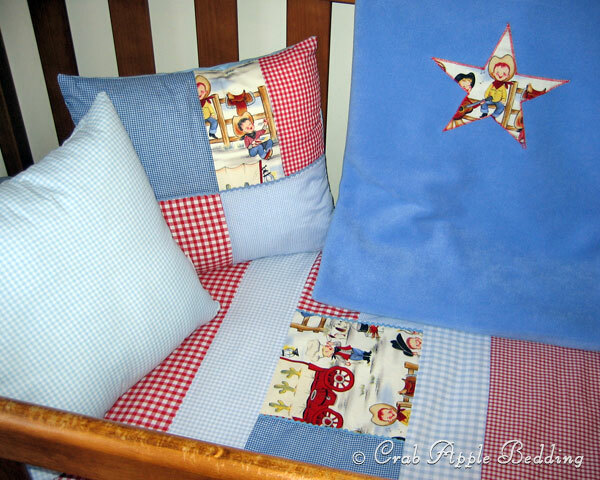 At Crab Apple Bedding you can find this cute little cot set featuring the “lil cowpokes” fabric. 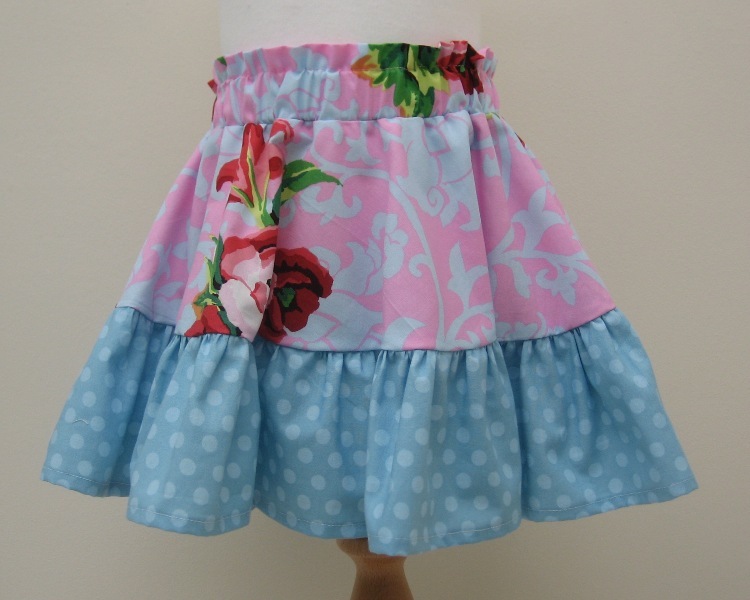 I have featured this dress before in one of my daily finds, but just had to again as it is just so darn cute. 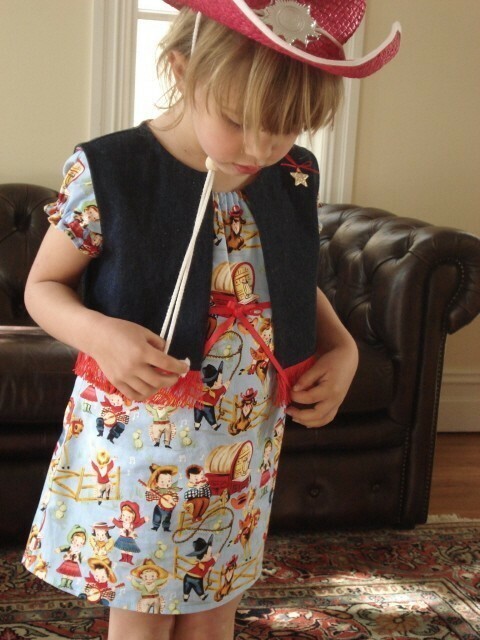 It is the cowgirl dress by Little Brown Mouse. 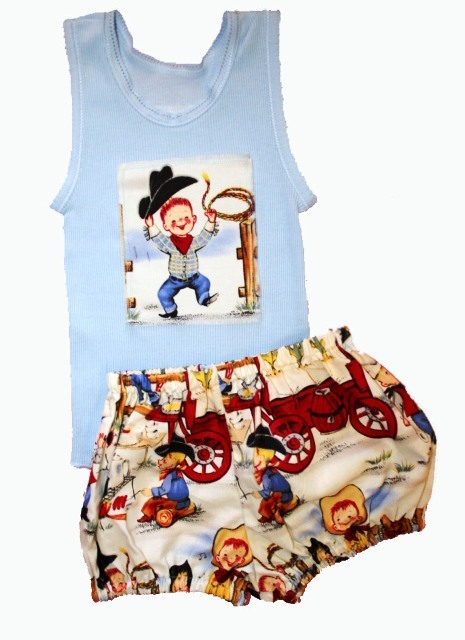 Also from Little Brown Mouse is these sweet vintage cowboy overalls. Even though my youngest son is still only a baby, I have already been thinking and planning on what I am going to do with his bedroom once he is into his big boy bed. My ideas change regularly from various colours to themes. Quite often for a bit of inspiration I visit the Pottery Barn Kids website. This always leaves me with my mouth gaping and wondering if I can afford a plane ticket to America for a shopping trip (if you want some more jaw dropping moments, I suggest you check out the playroom section of the site – most are bigger than my house). 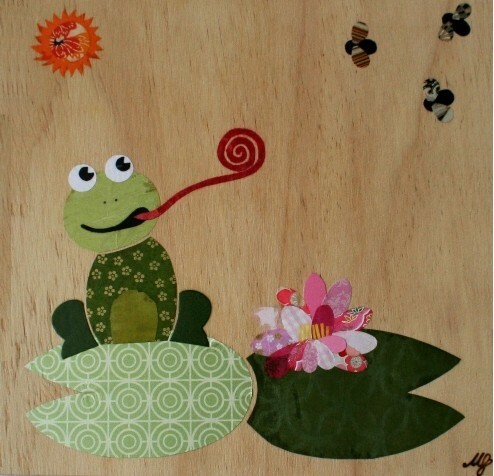 Giggle Smile Designs have a great range of handmade collages made from a variety of papers. 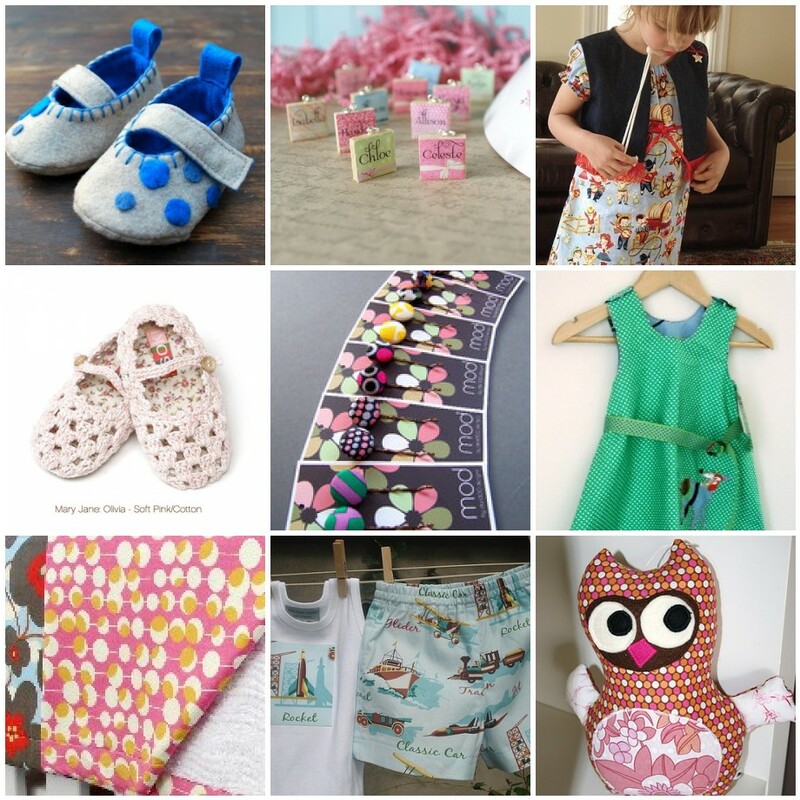 Sprout Designshave the most fabulous range of fabrics available that can be used to create homewares. 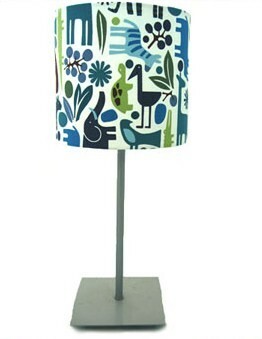 Meemoh create a range of room accessories such as this Blue Zoo Lampshade. You will also find cushions and wall canvases to match. 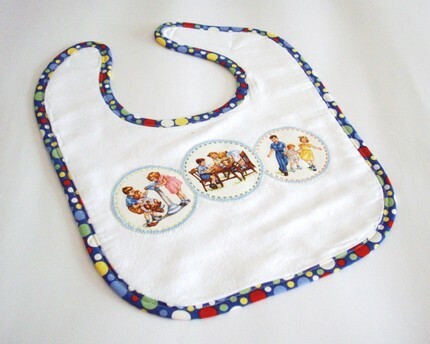 Funki Fungi is the original handcrafted design of oh my giddy aunt! 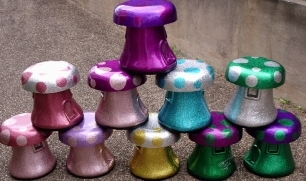 A is a Funki Fungi is a life size mushroom you can sit on and it would make a great feature in a fairies room. After some extensive googling I came across The Little Voice Collectionand a few more jaw dropping moments. What a devine range of furniture. I also recommend reading The Notion of the Little Voice for a quick look at some of the stories behind the collection.